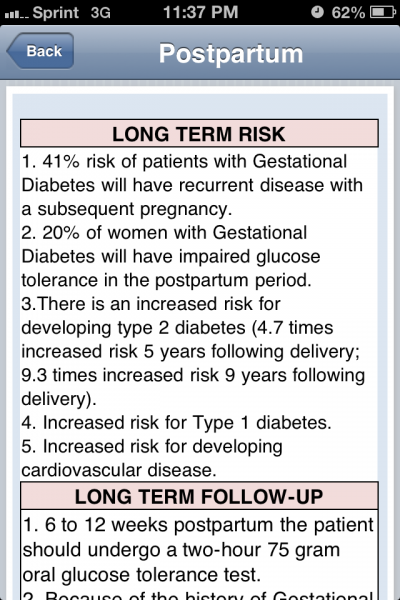 Gestational Diabetes is a common obstetric problem requiring close coordination between patient and physician throughout the pregnancy, labor and delivery, and postpartum period for optimal outcomes. 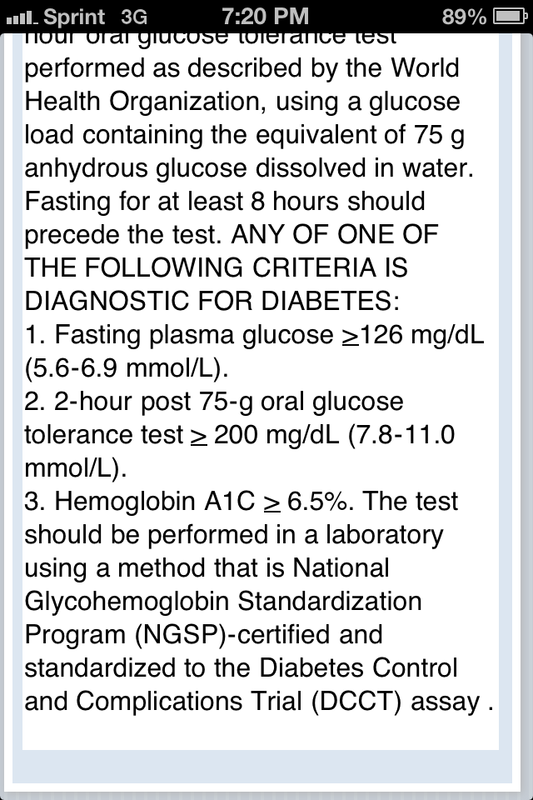 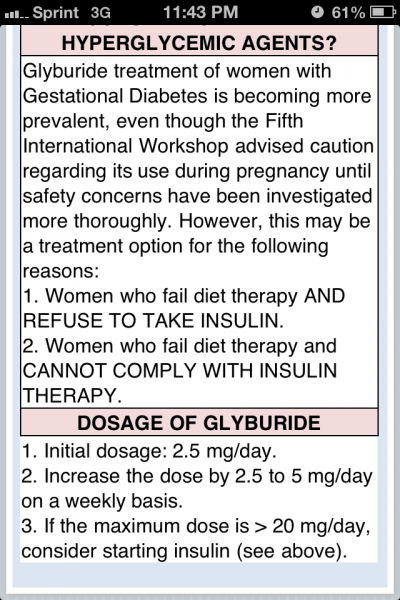 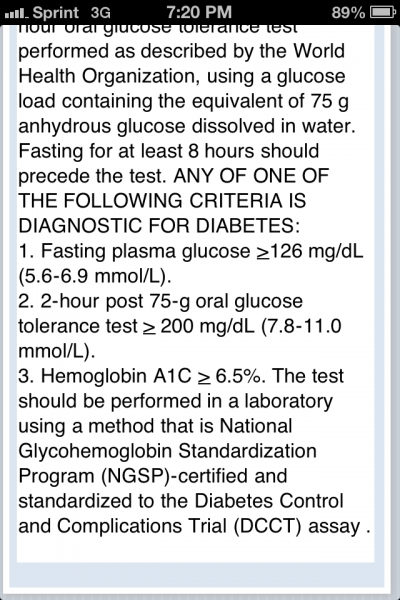 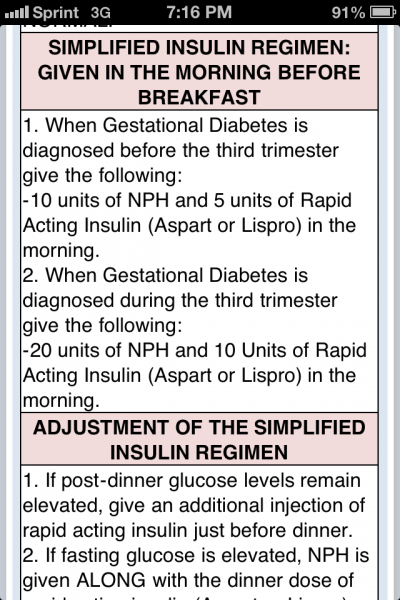 Various management guides are available for management of gestational diabetes, but most of them are paper copies. The Diagnosis and Management of Gestational Diabetes app aims to provide a comprehensive resource for the diagnosis and management of gestational diabetes from the perspective of treating providers. 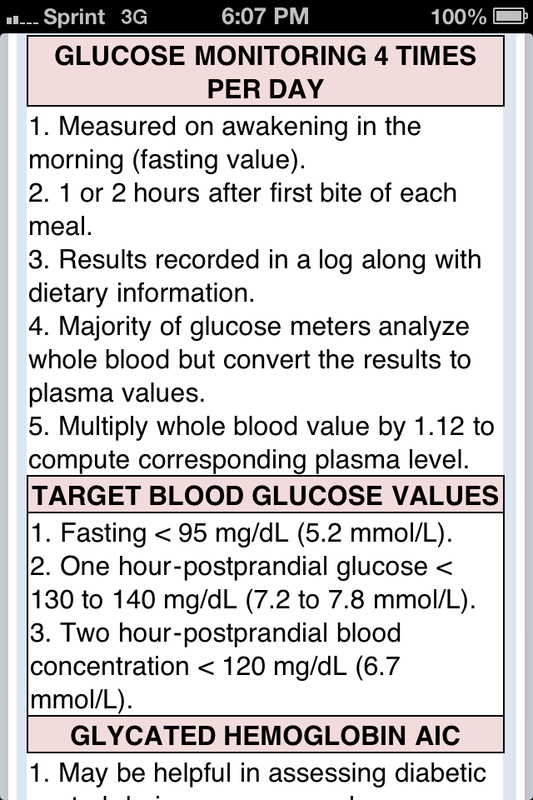 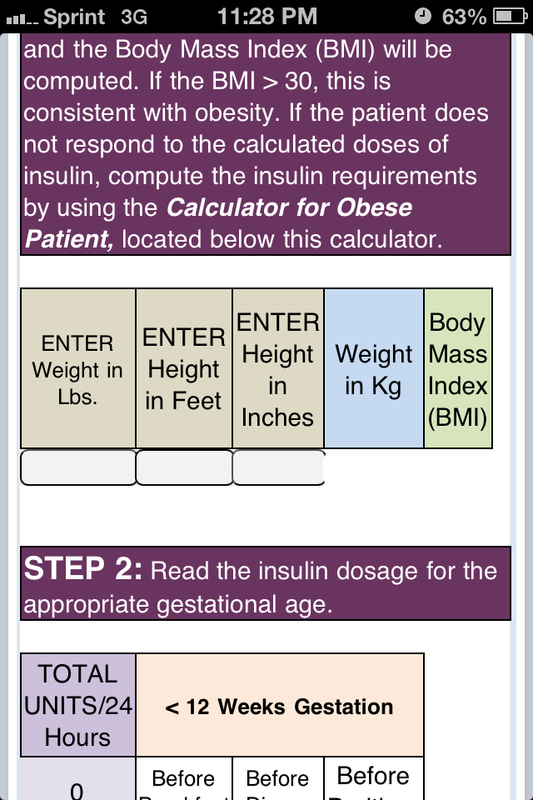 The home page of the Gestational Diabetes app allows for navigation to all features of the app. 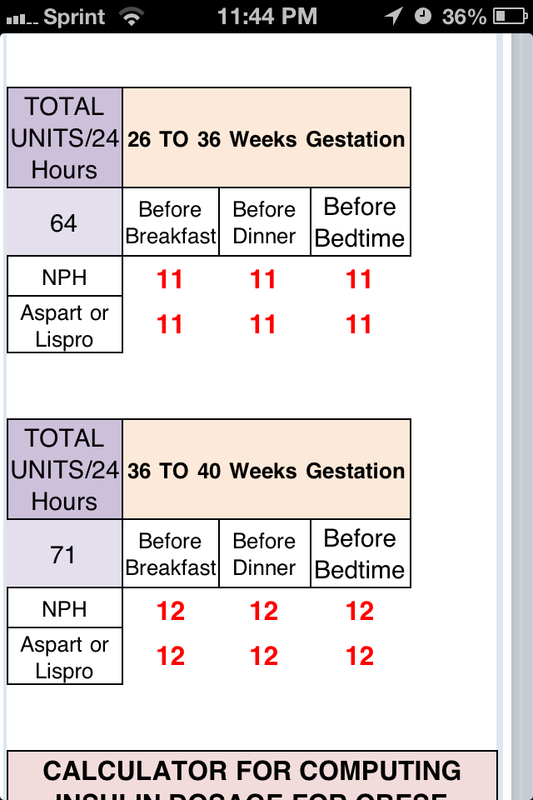 The front page is straightforward to navigate through and is organized in a pregnancy-chronology based order. 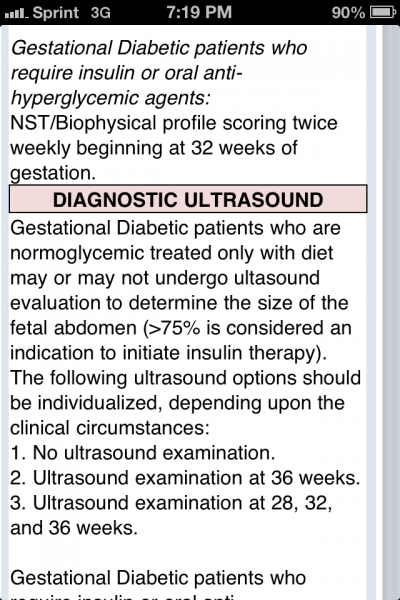 It moves from definition to diagnosis to treatment to intrapartum management and postpartum. Each section has a slightly different composition. 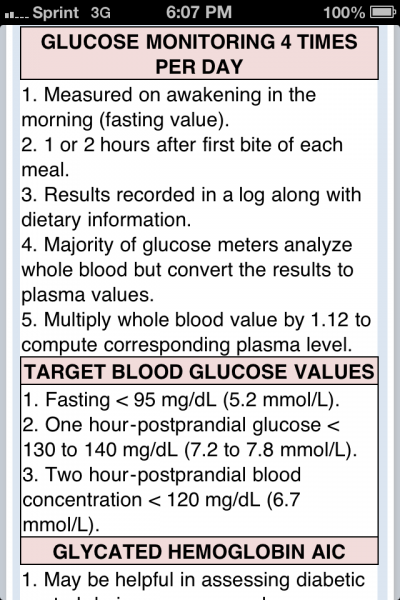 Some of the sections discuss the evidence behind a particular management strategy. 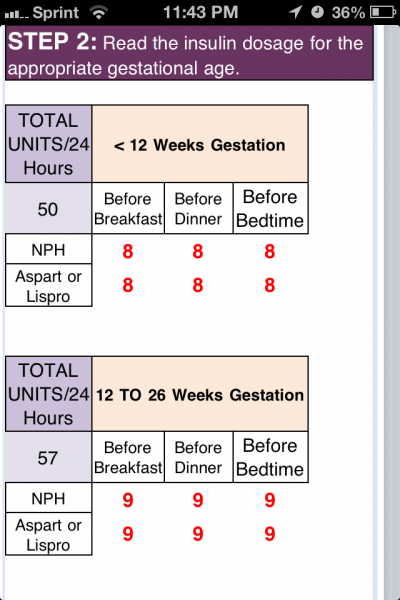 Others sections, such as intrapartum management, immediately talk about goals and then about how to achieve these goals. The treatment sections offer two descriptions of insulin regimens–simple and complex. 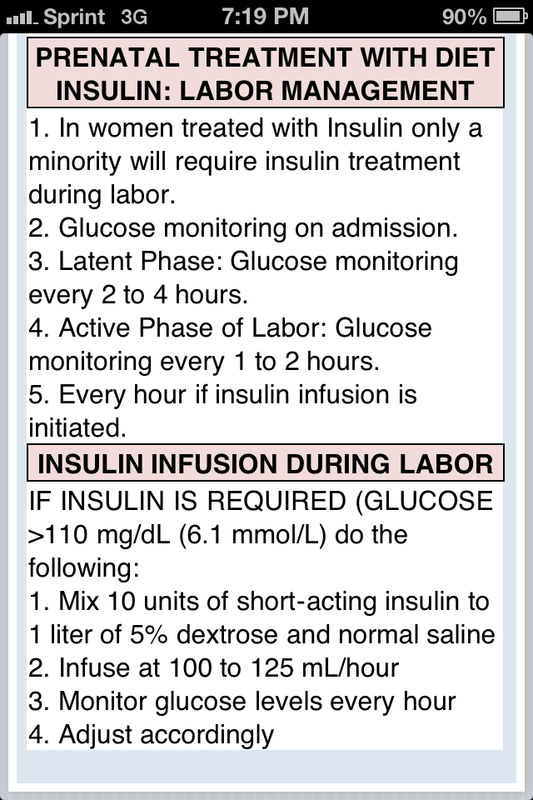 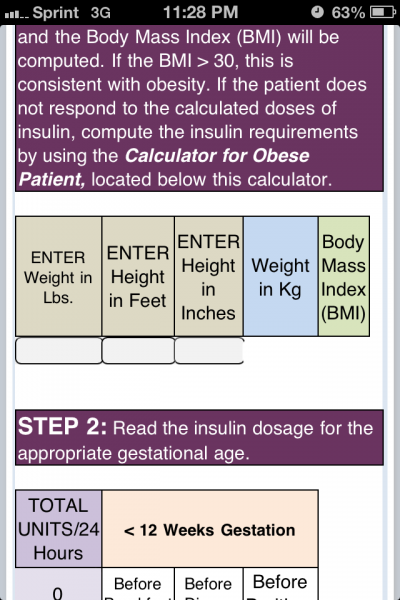 The complex section not only offers a step-by-step guide to calculating insulin requirements based on trimester and weight category, but also provides an intra-app calculator. 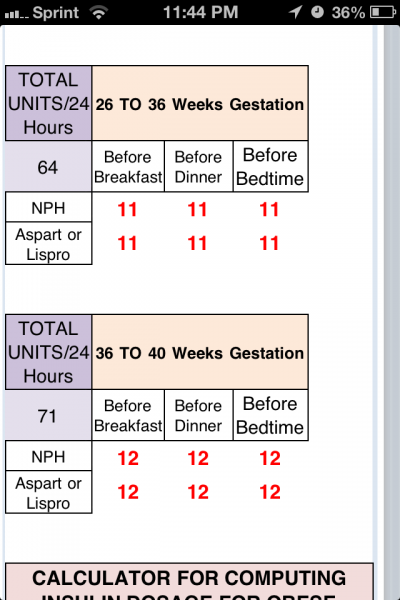 For example, for my patient who is not obese and is 29 weeks pregnant, I would give her 11 units of NPH and 11 units of Aspart or Lispro before each meal and bedtime as a place to start her regimen. 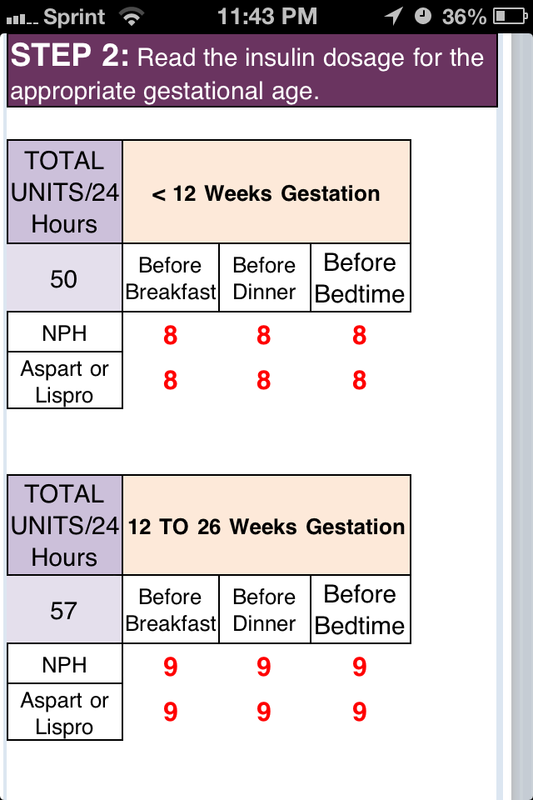 Three reliable obstetric references are cited for data, and two UpToDate(TM) references are also cited. 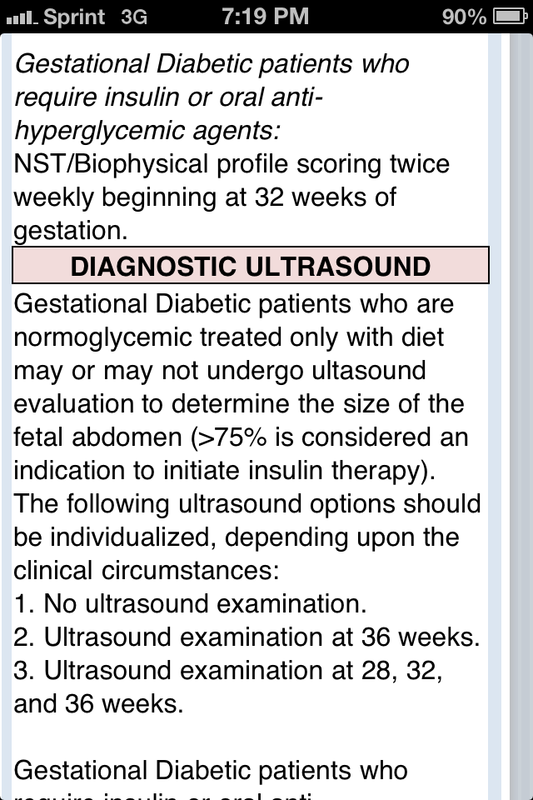 Healthcare providers of obstetric patients with gestational diabetes ranging from diet to insulin-controlled. 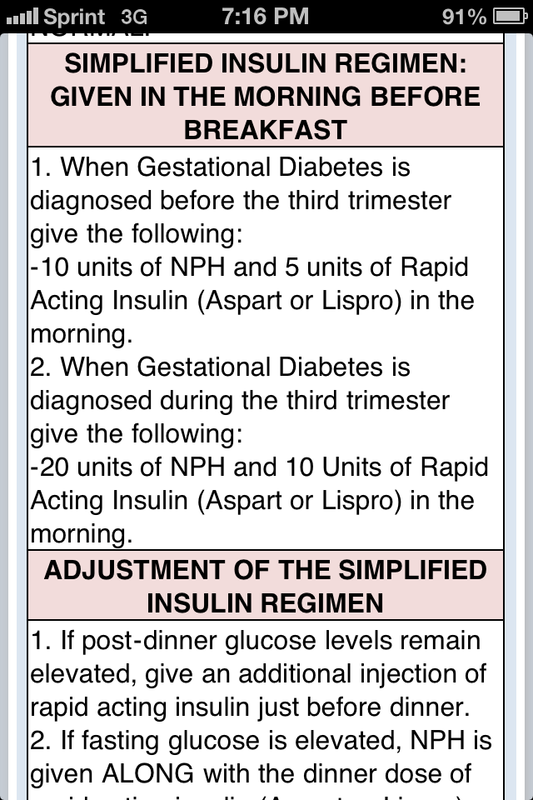 The Diagnosis and Management of Gestational Diabetes app acts as a very helpful pocketbook to managing patients with diabetes. 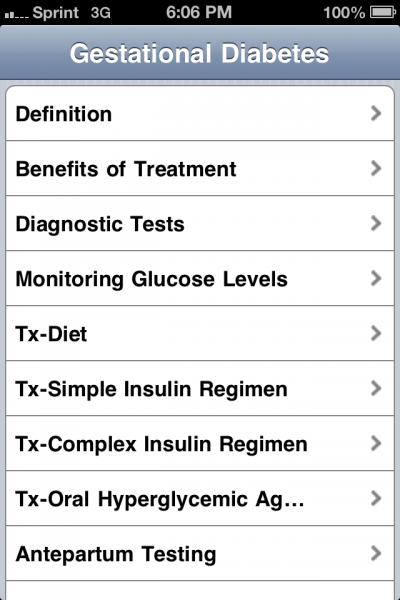 It is available for the iPhone and iPad. 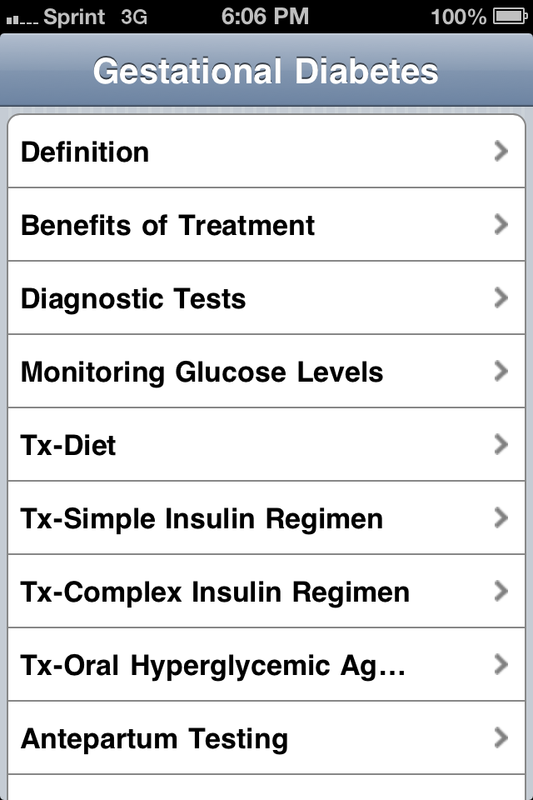 The format and presentation style of the app lends well to using it not only for clinical care, but for teaching of other residents and healthcare providers. 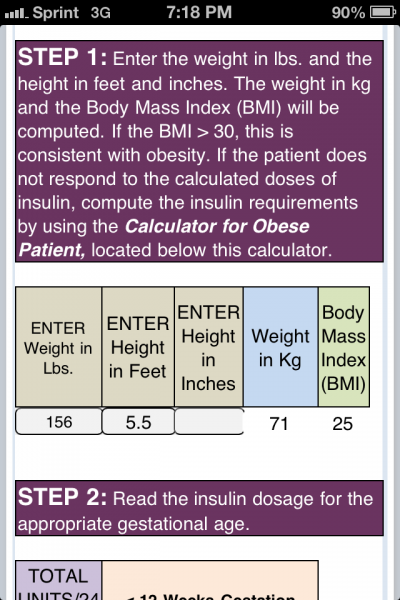 The insulin calculator embedded within the program is helpful for determining total insulin and suggesting starting short and long-acting regimens.